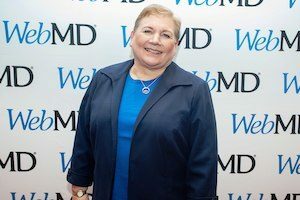 Work Stride: Managing Cancer at Work co-developer Lillie Shockney, RN, BS, MAS, was celebrated as a winner of this year’s WebMD Health Hero Awards. 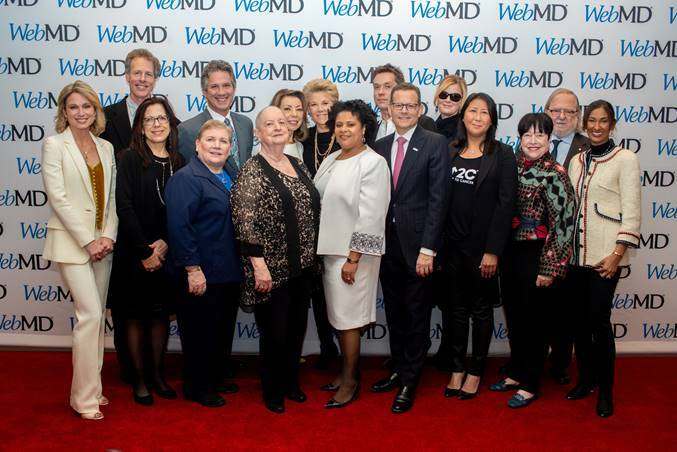 In its 12th year, the awards honor individuals who are working to change the health care landscape, confronting health challenges and giving back to improve the lives of others. She and the other Heroes were celebrated and honored at an awards ceremony on January 15, 2019, in New York City. Lillie Shockney is one of the leading cancer nurses in the United States. In addition to being the co-developer of Work Stride: Managing Cancer at work, she is a two-time breast cancer survivor, oncology registered nurse, and nurse navigator. She is nationally and internationally known for her work in patient advocacy and a multidisciplinary approach to patient-centered oncology care, emphasizing the importance of beginning survivorship care at the moment of diagnosis. Professor Shockney is the co-founder and program director of the Academy of Oncology Nurse and Patient Navigators. She is also co-founder and vice president of a national nonprofit organization called Mothers Supporting Daughters with Breast Cancer, which has served tens of thousands of families nationally and internationally since its founding in 1995. Read WebMD’s profile of Lillie Shockney here.